Bankruptcy Code: The informal name for title 11 of the United States Code (11 U.S.C. 101-1330), the federal bankruptcy law. denial of discharge: a creditor, trustee, US Trustee or other party in interest may, pursuant to 11 USC 727, file a complaint to deny the discharge of any debtor if certain things can be proved (such as material misstatements in the bankruptcy schedules, like omission of assets, etc.). If successful at trial, this results in the entire discharge being denied, not just the discharge of a particular individual debt. exemptions, exempt property: Certain property owned by an individual debtor that the Bankruptcy Code or applicable state law permits the debtor to keep from unsecured creditors. 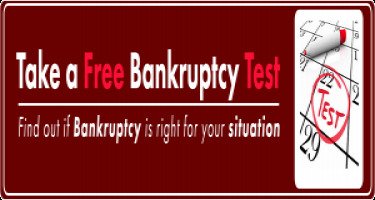 fresh start The characterization of a debtor's status after bankruptcy, i.e., free of most debts. Involuntary Petition: A bankruptcy case may be commenced by a specific number of creditors against a debtor without the debtor's consent. There are specific requirements for the amount of claims the creditors must hold and number of valid creditors who may commence the case. joint petition: One banrkruptcy petition filed by a husband and wife together. means test: Section 707(b)(2) of the Bankruptcy Code applies a "means test" to determine whether an individual debtor's Chapter 7 filing is presumed to be an abuse of the Bankruptcy Code requiring dismissal or conversion of the case (generally to chapter 13). Abuse is presumed if the debtor's aggregate current monthly income (see definition above) over 5 years, net of certain statutorily allowed expenses is more than (i) $10,000, or (ii) 25% of the debtor's nonpriority unsecured debt, as long as that amount is at least $6,000. The debtor may rebut a presumption of abuse only by a showing of special circumstances that justify additional expenses or adjustments of current monthly income. See if you pass the "Means Test." trustee: The representative of the bankruptcy estate who exercises statutory powers, principally for the benefit of the unsecured creditors, under the general supervision of the court and the direct supervision of the U.S. trustee or bankruptcy administrator. The trustee is a private individual or corporation appointed in all Chapter 7, Chapter 12 and Chapter 13 cases and some Chapter 11 cases. The trustee's responsibilities include reviewing the debtor's petition and schedules and bringing actions against creditors or the debtor to recover property of the bankruptcy estate. In Chapter 7, the trustee liquidates property of the estate, and makes distributions to creditors. Trustees in chapter 12 and 13 have similar duties to a chapter 7 trustee and the additional responsibilities of overseeing the debtor's plan, receiving payments from debtors, and disbursing plan payments to creditors.